The future of the shooting sports requires recruiting new hunters and recreational shooters plus retaining current customers and encouraging greater activity. This report provides insights supporting efforts to encourage current customers to try new shooting sports. 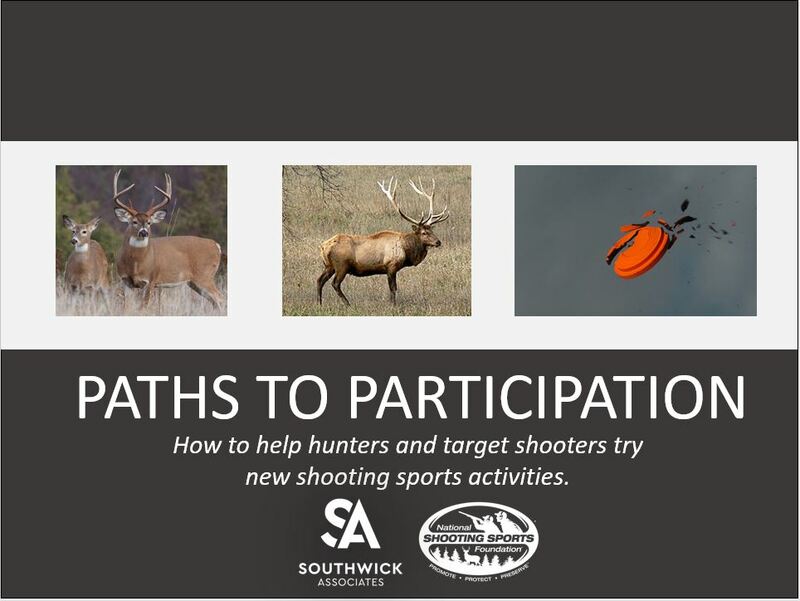 To learn more about the types of activities current hunters and shooters are interested in trying, a custom survey was fielded by NSSF partner organizations from June 2017 to August 2017. Qualified survey respondents were those who participated in hunting or recreational shooting at least once within the past three years. Below, please select the chapter of greatest interest to you or your organization. Please note the results do not focus on recruiting new, first time participants, but instead focus on how to encourage current customers to try new firearm-related recreational activities. Click here to download the topline report.